These California olives possess natural variations of nut-like colors with full delicious olive flavor. My wife just polished off a can. If I come through Corning and don't stop I am dead. Even people who say that they don't like green olives will eat these and love 'em. on 11/5/2011 Excellent Olives ! 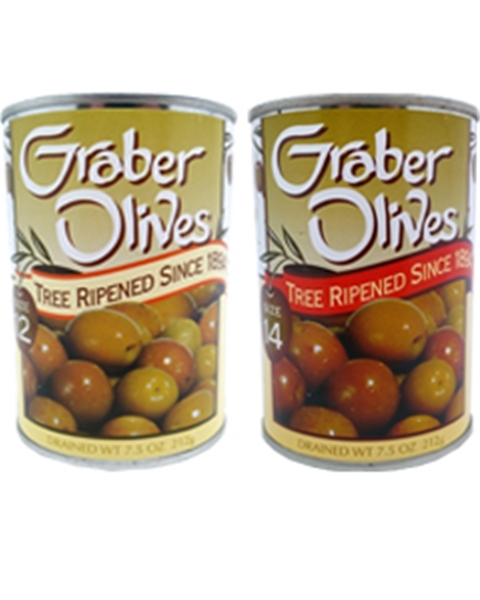 These are the closest to Dad's home made processed/brined/canned olives... and a lot less work ! As an olive lover, these are the ones that define the best in the world. Buy a can for yourself because shaing is very difficult. I ALWAYS STOP AT THE OLIVE PIT ON MY WAY TO SOUTHERN CA AND BUY THE RIPENED GREEN OLIVES IN THE CAN. I CAN'T GET ENOUGH I LOVE THEM. It is very hard to find the olives I love best. They are green, firm, they have pits, and are just plain olives, no vigegar or flavoring except the nice fleshy olive.